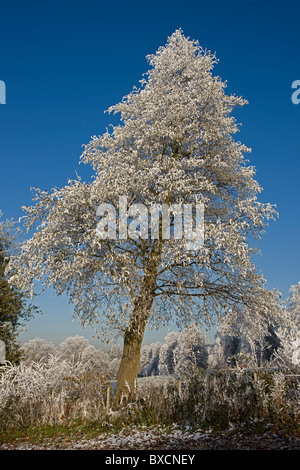 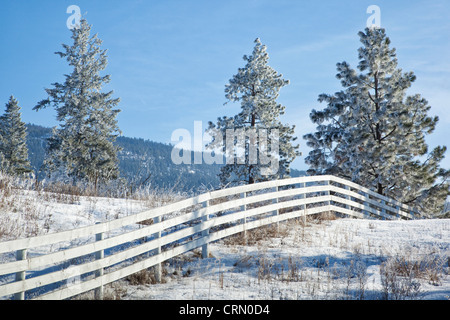 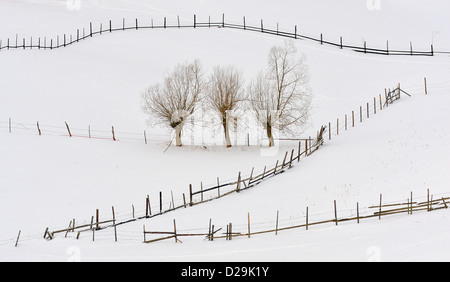 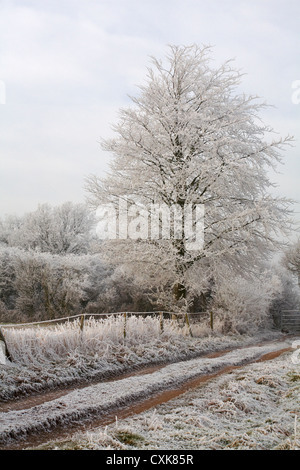 White fence in a field with frosty trees, Vernon, British Columbia, Canada. 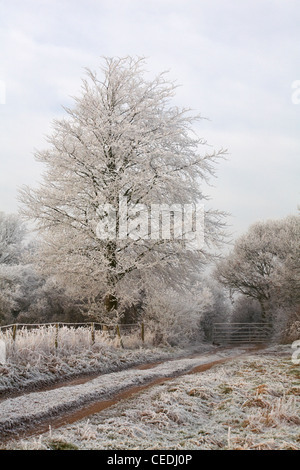 Frozen landscape. 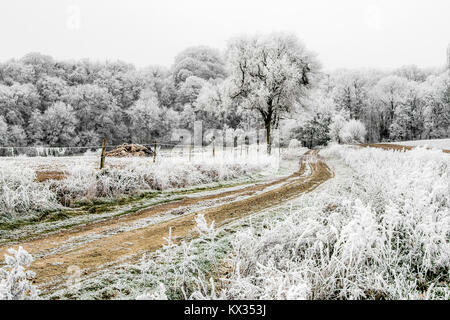 A dirt road sinks into the forest. 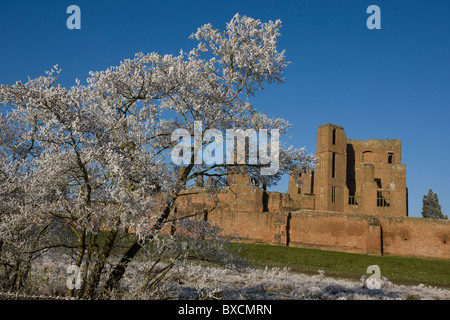 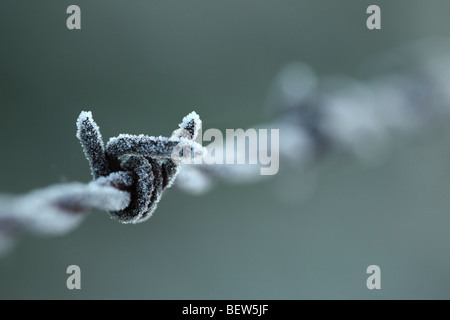 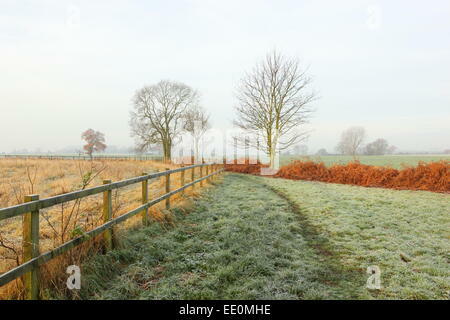 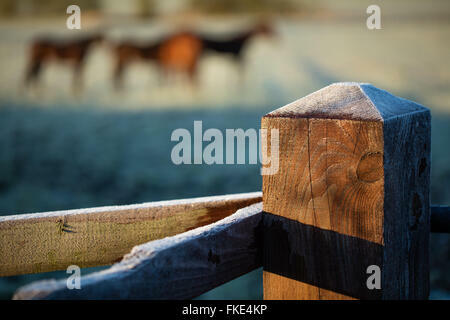 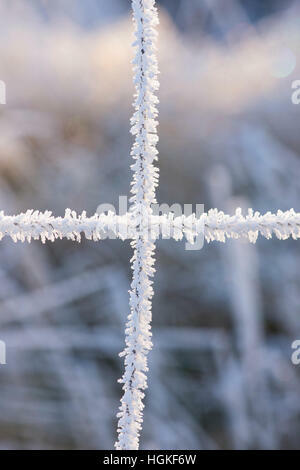 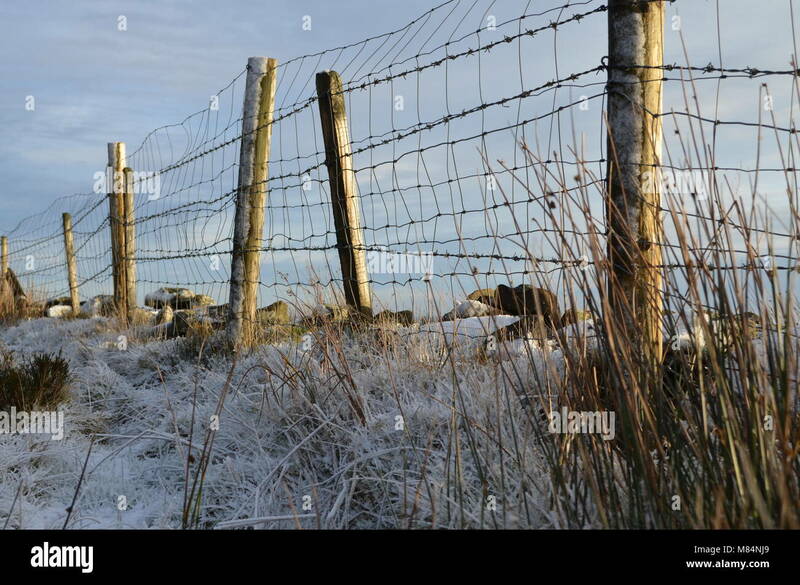 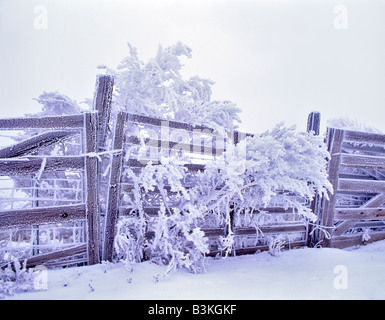 On this cold winter morning, the bushes, the trees and the fences are covered with frost.